The Prespes Agreement will come for ratification next week through the contract procedure in the Committee on Defence and Foreign Affairs in the Greek Parliament, followed by a discussion and voting in plenary. “We will not follow Fast Track procedures”, the government stresses. This is the second big bet of the Tsipras Government, since the first obstacle, the vote of confidence after the withdrawal of INdependent Greeks from the government, was successfully overcome. The goal of Athens is to ratify the Agreement by at least 151 MPs, with all eyes turned to the processes of To Potami, KINAL, as well as the position of individual MPs. “In such major national issues, what is supposed to prevail is the patriotic interest and the certainty that everyone will be judged by the people and history”, the government says in statement. Moreover, the political scene in Athens seems like a chessboard for strong nerves lately. 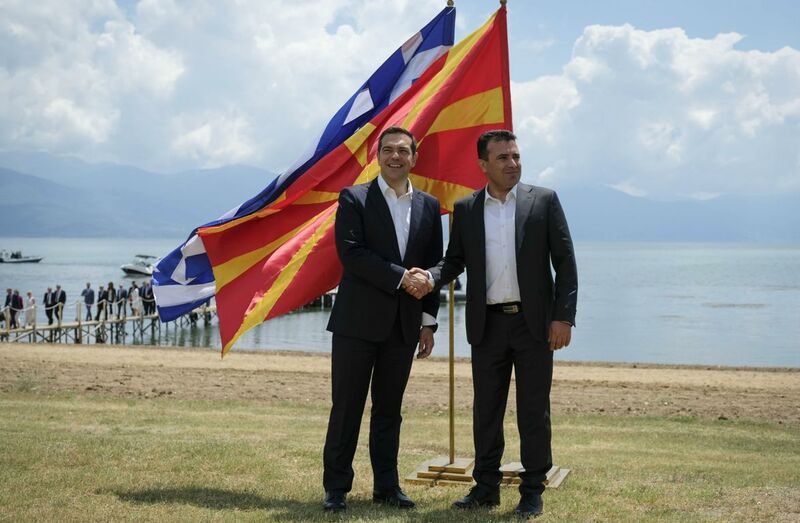 After the verbal note sent by Skopje to Athens yesterday to inform on the completion of the internal procedures of fYROMacedonia, as Alexis Tsipras announced in the House, the government aims to provide full information to citizens and parties, as well as have exhaustive dialogue on the matter. As the Greek Prime Minister’s press office officially announced on Sunday, the entire text of the agreement will be distributed to the press so that all citizens have full knowledge and a clear picture of its content.